Solaire is an amiibo now, so it’s open season for beautiful crossovers and tie-ins for maximal corporate brand-sharing initiatives. If Dark Souls can make it to the Switch, and thus get an amiibo, then anything is possible. What about television shows? Radio serials? Podcasts? Video games that already have an amiibo and just need ten more? I want to see the best, more speculative forms of amiibos that you can give me. It’s blue skies for days over here, and I think that image editing software is going to deliver the future to us. 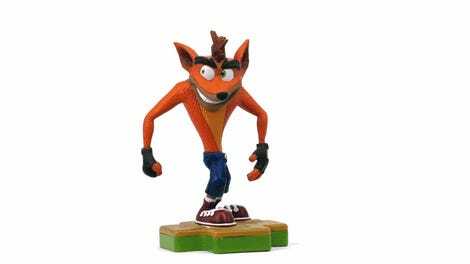 For this week’s ‘Shop Contest I want you to mock me up an amiibo that doesn’t exist. The weirder the better. The winners of the contest will be rounded-up in a post appearing this coming Saturday. Note: Your standard “amiibo announcement shot” of a figure in front of a black background is ok, but I will pay special attention to entries that give me amiibos in action out in the world. I want to see these things on store shelves, in promotional footage, and everywhere else an amiibo might show up. The other ground rules are below. Good luck to all participants. Praise the sun.